Lease End Options | What to Do When My Lease Is Up? Need to End Your Lease? Choose One of Our Dealerships to Get Started! So you’ve been happily driving a vehicle for a few years now, but the terms of your lease are almost up. That means it will soon be time to return your car, truck, SUV or minivan. This may have you wondering what you’re supposed to do next. Fortunately for you, we can provide you with the answers to your questions. Allow us to walk you through the end-of-lease steps to take and options to select. You have three options: trade in your vehicle with a final payment, return it and walk away or purchase the vehicle outright. When you’re ready to end your lease, bring it back to us and you can upgrade to a newer model. We’ll learn from you what kind of vehicle you’re most interested in, and then guide you through the process of leasing it. On the other hand, if at the end of your lease you’re ready to give back your vehicle and move on, that’s fine, too. 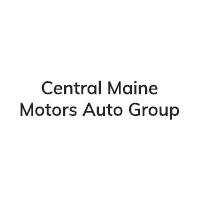 Return to a Central Maine Motors dealership and we’ll begin the lease-end process. Totally in love with the model you’re driving? You can also make it a permanent fixture in your life. Just buy it! That’s an option, too. To learn more about the different paths that you can take, choose the car dealership in Waterville, ME, with the inventory that most interests you. When you do, you’ll find additional details about the options listed above, and you’ll be able to get in touch with the right people for assistance. Bring your lease to an end your way today!